The UK-made VWU U-Shape Pallet Weighing Scale is ideal for warehouses and factories with pallet trucks. With nylon roller wheels and lifting handles as standard, the VWU is easily transportable to different weighing locations when required. All models feature OIML approved stainless steel loadcells, the VWU loadcells are IP67 rated and the VWUS stainless model has IP69 rated loadcells, making it ideal for use in wet and hygienic conditions such as food factories or production areas. 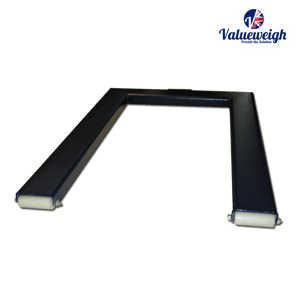 The VWU range come with a 2 year manufacturer’s warranty and are one of the most reliable and durable U-Shape scales available.